Want to experience something besides free online dating websites? 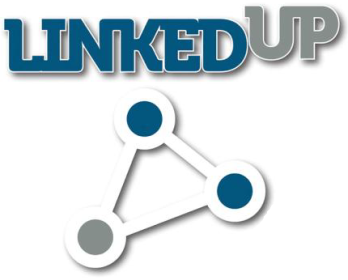 Meet the new free application, available for download in the Apple app store, called LinkedUp! LinkedUp app allows its users to look for their potential dates, getting the information from their profiles at LinkedIn. And, according to the words of its founder Max Fisher, such an approach makes it possible for the app members to get more of the quality matches. Comparing such parameters as gender, age, distance from one user to another, their education and sector of employment, LinkedUp surely works with maximum of efficiency. Why LinkedIn as a networking platform? According to Max Fisher, the idea for LinkedUp application came to him, when he realized that more and more people among his friends and colleagues started out using LinkedIn for dating purposes as well. And the point was that many of them actually succeeded in finding partners through LinkedIn, using its platform for messaging. So it seemed to be a great idea to develop and launch a brand new dating application, which would base on LinkedIn to give its members the opportunity of online dating. As a matter of fact, LinkedIn has always been viewed by many specialists as the social media platform to keep all the things professional. That means no former friends or your exes, it is the online spot, where you meet only those people who you want to leave in the kind of colleague zone. But at the same time note that the LinkedUp application is no way affiliated with LinkedIn, which means your activity at LinkedUp won’t be shown up on the network. What are the main advantages of this app? Being pretty much like Tinder in use, LinkedUp allows its members to search for some romantic connections looking through the database of other users, who are also seeking more than just professional relationship. The users can “like” the profiles of those people on LinkedUp, which seem interesting to them – starting out from their resumes, connections and calculated earning power, not to mention their hope for potential match. Still, it’s not all that easy with finding your date online, based on LinkedIn profiles. Let’s not forget, or course that this site was initially aimed at looking for potential employers and not for some friends or dates. So, who is it oriented on? The developers of LinkedUp say that their target group is the people who are interested in using the LinkedUp application to find their type. This might mean people of any age, of any background or of any demographic. Therefore LinkedUp will be an open platform for all those who are simply interested in using it.